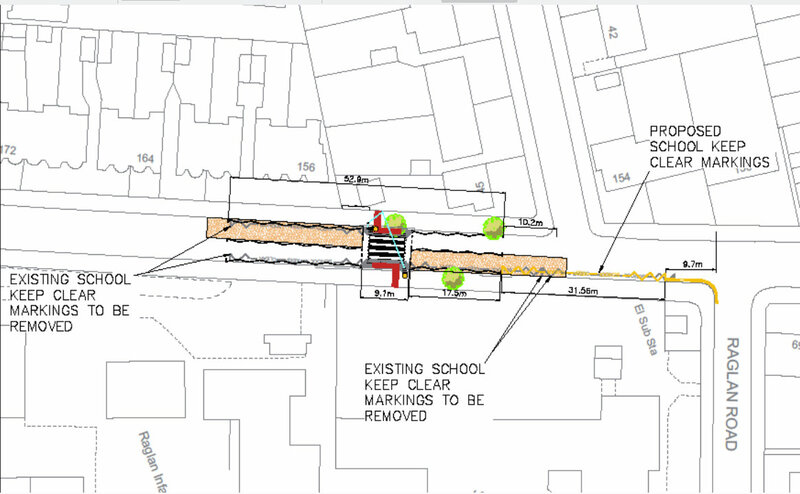 Enfield Council have started a consultation with local residents near Raglan School over proposed restrictions to parking associated with a new zebra crossing. Enfield Council is seeking to introduce a new zebra crossing in the road. This is in response to concerns that pedestrians feel unsafe or are experiencing difficulties when crossing Wellington Road and there will also be some benefit in removing inappropriate parking at peak school times. The Road Traffic Act 1984 places a duty on the council to facilitate the free movement and passage on the road of any class of traffic including pedestrians. Details of proposals can be found on a sketch plan below. Further information related to these proposals is contained in a public notice that has been placed in this week’s edition of the Enfield Advertiser. A copy of that notice has also been placed on lamp posts in the road. Closing date is 14th February 2018. All comments received during the consultation will be considered. We may not be able to respond to individual comments, but a summary of the outcome to the consultation can be made available on request.